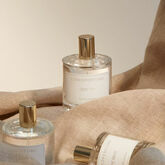 ZARKOPERFUME is a brand of exclusive Scandinavian fragrances. Its creator, Zarko Ahlmann, always dreamed of capturing the essence of the climate, the lifestyle and the unique beauty of his native Scandinavia. In 2008 he began to study the art of fragrances and then, with passion and with the fruits of his effort, creates the collection of fragrances by Zarko Perfume. Zarko Ahlmann is an artist of perfumery and his works are his fragrances. He is the only perfumer in Denmark. 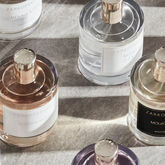 To compose a fragrance, his approach is to merge classical French perfumery with rigorous Nordic molecular science, inspiring each aroma in the Nordic landscapes and obtaining his own vision and focus of the medium. ZARKOPERFUME offers you a unique sensory experience. Let yourself go to spectacular Nordic landscapes, appreciate every delicate essence of the composition and embrace its nuances. Do you want to find out more about his exquisite work? We invite you to get to know them.